Roy Halladay, an eight-time All-Star during his 16-year MLB career, died in a plane crash on November 7 at the age of 40. The former pitcher for the Toronto Blue Jays and Philadelphia Phillies pitched from 1998-2013 and finished in the Top 5 in the Cy Young Award voting seven times in his career. Here are a few stats you may not know about Halladay. He compiled a 203-105 record, making him one of 93 pitchers in MLB history with 200 wins. His 194 wins since 2000 is fifth best behind C.C. Sabathia, Mark Buehrle, Tim Hudson and Bartolo Colon. He had eight seasons where he worked 200 or more innings. Since 2000, his 19 shutouts are the most in the majors. He had three 20-win seasons in his career, one of 96 pitchers to have three or more 20-win seasons in their careers. He never lost more than 11 games in a season. Since 2000, he and Curt Schilling are the only pitchers with three 20-win seasons. His 203-105 record works out to a .659 winning percentage. Among all 93 pitchers with 200 career wins, Halladay’s .659 winning percentage ranks fifth. His .664 winning percentage since 2000 ranks fourth. 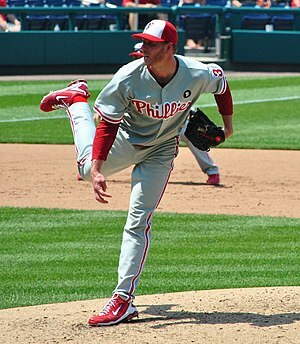 Halladay led the league in complete games seven times. He had 67 career complete games; his 65 complete games since 2000 ranks first by a large margin… the pitcher with the second-most complete games since 2000 is Livan Hernandez with 39. Halladay is one of only 21 pitchers in MLB history to have 200 or more career wins, a career winning percentage of .600 or better, and a career ERA lower than 3.40 (his career ERA was 3.38). Philip Humber: Is a ‘perfect game’ curse haunting him? Chicago White Sox pitcher Philip Humber gets his eighth start of the season and sixth since his perfect game tonight at home against the Minnesota Twins. Since his perfect game on April 21 in Seattle, Humber has an 0-2 record with three no decisions and an ERA of 7.86 (more on that ERA in a second). He may be thinking that the perfect game was more of a curse than a blessing considering his performance since that game. There may be something to this “Perfect Game Curse,” at least for some of those pitchers. Of the 17 pitchers who threw a perfect game in the last 100 years (since 1912) their record in the next start was 5-8 with four no decisions. Also, we can make a case that there might be a “White Sox Perfect Game Curse” when you look at Humber and Mark Buehrle‘s post-perfect game starts (see numbers below). While Humber became the 19th pitcher in modern baseball history to throw a perfect game, his ERA in the next five starts among those other perfect game brethren is at the bottom of the list. Humber’s 7.86 ERA in his next five starts after the perfect game is the highest of any perfect game pitcher. In taking a look at the last 17 pitchers to throw a perfect game (from Robertson to Humber) and their won-lost records in the first five starts after their “perfecto,” these pitchers won 30 games and lost 35 (with one tie) and 19 no decisions. Only two pitchers, Browning and Johnson, were undefeated in their next five starts after their perfect game. Here’s a look at the records of each perfect game pitcher after that historic performance. Did you know? In the five starts following his perfect game, Koufax threw three shutouts. In the five starts after his perfect game, Barker had four complete games. Here’s a quick trivia quiz for you: Can you name the last pitcher to lead the American League in complete games in two consecutive seasons? And… Can you name the last pitcher to lead the National League in complete games in two consecutive seasons? If you answered Philadelphia’s Roy Halladay to both questions, you know your baseball. Halladay last year topped the N.L. with eight complete games after leading the league in that category in 2010 with nine complete games. 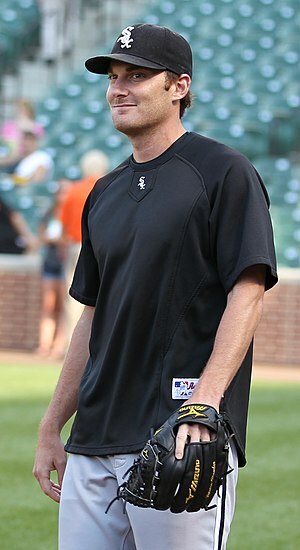 As a member of the Toronto Blue Jays, he led American League starters in complete games in 2007, 2008 and 2009. 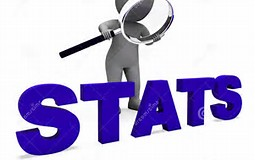 Following is a look at five different individual pitching and batting stats and the last time a player led the league in that category in two consecutive seasons. (Note: If a player tied for that stat title in one or more seasons, it is noted). Wins, American League: LaMarr Hoyt (Chicago) 1982, 1983… Note-C.C. Sabathia was tied with two other pitchers for most wins in 2009 and led the league in wins in 2010. 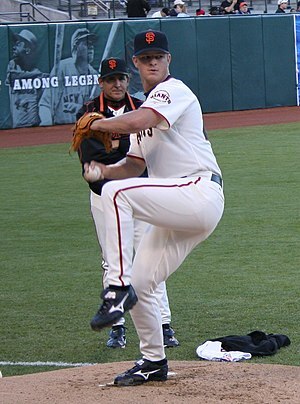 San Francisco pitcher Matt Cain pitched a one-hitter last night against the Pittsburgh Pirates, giving up a sixth-inning single to James McDonald. Had Cain tossed a no-hitter against the Pirates, it would have ended the second-longest active timeframe since a team has been no-hit. The last time the Pirates were held hitless in a game was on August 14, 1971 when they were no-hit by St. Louis’ Bob Gibson. Following is the last time each MLB team was no-hit. 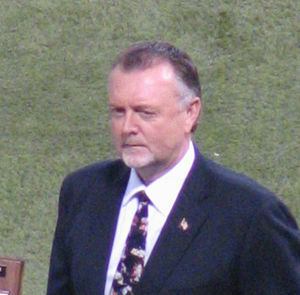 Pitcher Bert Blyleven will be inducted into baseball’s Hall of Fame today along with second baseman Roberto Alomar and executive Pat Gillick. 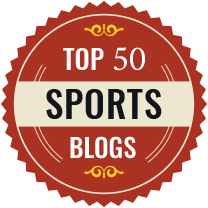 One of the amazing stats from Blyleven’s career is that he ranks ninth in MLB history with 60 complete game shutouts. With the emergence of set-up men and closers, and teams’ concern for “total pitches” thrown by a starter, there’s a good chance that few, if any, current pitcher will approach Blyleven’s shutout totals, let alone the baseball record of 110 complete game shutouts by Walter Johnson. What makes Blyleven’s 60 complete game shutouts even more noteworthy is that there is only one active pitcher with 60 or more career complete games (not complete game shutouts like Blyleven; just complete games!! )… Roy Halladay with 64. With shutouts and the Hall of Fame as the focus, following are those pitchers who had 40 or more complete game shutouts yet are not in the Hall of Fame. Note: Ed Reulbach’s name may not be familiar to a lot of you (especially considering he played in the early 1900’s) but his claim to fame is that he is the only pitcher to throw two complete game shutouts in one day. Reulbach threw two shutouts in a doubleheader on September 26, 1908. Note #2: Active leader in this category is Halladay with 19 shutouts. He is followed by Chris Carpenter (13) and Tim Hudson and CC Sabathia with 12 each.